CX Hostel, Bogota, Colombia | LOOK WHAT WE DONE! Pedro and Natalia have been the proud owners of CX hostel since late 2014. 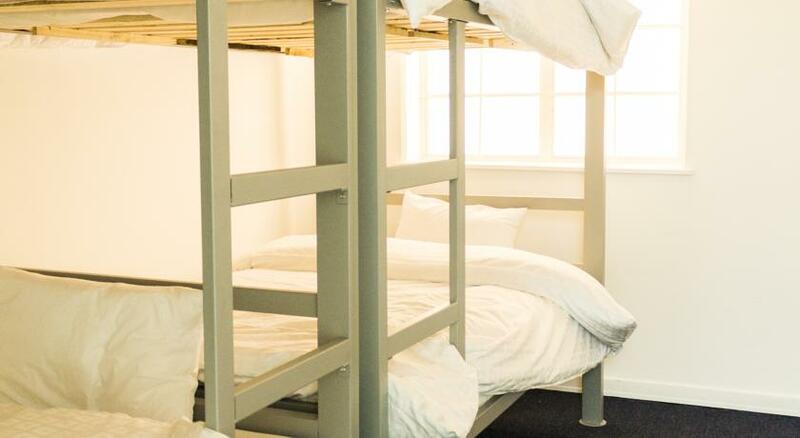 As is the norm for young, hostel owning couples, they’d slept in their fair share of dorm beds and drank their fair share of communal stale coffee to know what they wanted in a hostel. That’s where CX Hostel comes in. 5km north of La Candelaria in the hip, happening (and far less dodgy) suburb of Chapinero. There’s good eateries and drinkeries all around the hostel and it’s a nice stroll down the 7th Avenue to downtown, or an equally nice walk north to the high end Park 93. CX is actually located in a building that used to be used as a political campaign headquarters, and Pedro had said that the switch from that to a hostel was surprisingly easy. There were already a bulk amount of showers and toilets, the dorms were often already used as such, and the share-house style layout lent itself beautifully. In fact, the only area that the guys have had to do anything major to is the kitchen/shared space downstairs. So the bare bones of a good hostel were already there, it was just a matter of making it feel like a welcoming and fun place to be. CX has gone for a real minimalist, clean feel. CX is short for Chia Xue, which gave us mental images of white paper walls and Japanese rake gardens. (It’s actually a combination of local indigenous words – Chia meaning moon and Xue meaning Sun in the local Colombian dialect). And we weren’t too far off. CX offers comfy, cosy beds in crisp, white and spacious dorms. Plenty of space to put your stuff, including big storage tubs on wheels that slip under your bunk and can be locked up. Hot showers can be elusive in Colombia. That’s fine when you’re up north and it’s hot, but Bogota has weather more similar to Melbourne (sunny one minute, raining the next, and rarely would be described as hot). The luxuriously big shower heads and endless hot water at CX are greatly appreciated. Table tennis table, cable TV in the loft/general chill-out area are also welcome touches. CX even has a great café – Speak Easy – attached to it that Natalia runs. Their coffee, juices and sandwiches are the business. You may even be lucky enough to be there for one of their once-a-month gigs. If you aren’t, make sure you book in for a Sunday night where they hold weekly free salsa classes. CX Hostel has a nice mix of homely and fun. If you’re looking to check it out, contact Pedro via the website or Facebook page.